Airbus makes over half the world's single aisle and wide body aircraft - and honey. That's right, honey. What's the link, you ask? It's quite simple. Airbus has a full-time beekeeper working on site at its manufacturing facility in Hamburg, Germany. Bee hives are located at two sites on the Airbus campus there — one near the paint facility, and one near the runway. "Bee monitoring never existed here before and its very interesting because we do it from year to year and we have the results from the laboratory each year. We have tested three different parameters this year, wax, pollen and honey from two different beehive locations. And we are very proud to say that every single result shows that pollution levels are well under approved limits." "We always try to keep our impact on the environment as low as possible. We are producing aircraft so there is an impact but I think Airbus is pretty aware of this impact and always trying to measure how high this is and keep it as low as possible because you can only reduce pollution, you can only reduce your impact on your surroundings if we are really aware of what is coming into nature from our work." Honeybees are a great indicator of environmental impact. The project was launched five years ago and Airbus says the findings are overwhelmingly positive. Any metal or chemical deposits in the flowers would be detected in the honey. The lab tests show that the pollution levels are no higher here than off the Airbus premises and even lower than Hamburg city centre. 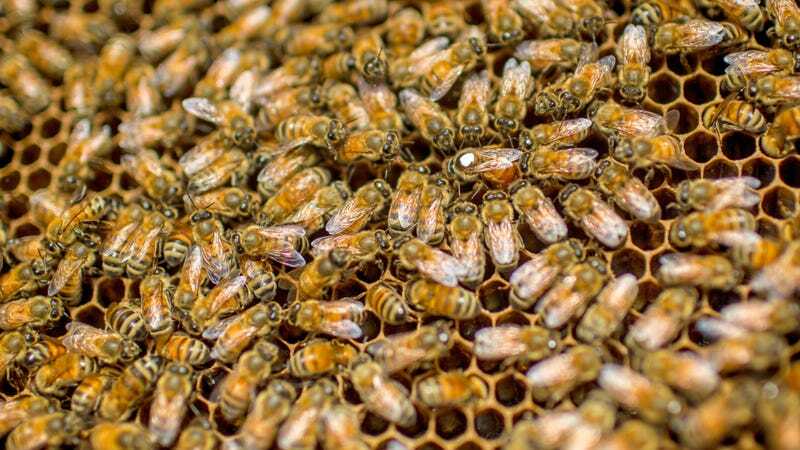 The team behind the bio-monitoring says the bees have become Ambassadors for Airbus's global Green Wave initiative, which is part of a United Nations' global initiative on biological diversity. Airbus says the bees produce about 160 kilos of honey each year, which is enough for 600 jars. They aren't sold, but given away as gifts to clients, suppliers and staff members.